Daniil Simkin: in "Flames of Paris," pas de deux, on two ABT programs with ABT partner, Sarah Lane. No playbill notes for this dynamic young man! He has a superb, natural ballon (baloon-like, bounding jumps, after Jean Balon, a 16th century artist with natural springing jumps), and a winning and charming manner in this tour de force work. His partner became invisible. Simkin's training was obviously Russian. Audience guess: he comes from Siberia; is 18 years-old and too short to defect to another country where girl partners are taller. Tap City: produced by Tony Wang, at its seventh festival featured former "headliners" who were a joy to see because of their energy, humor and presence. "Brownie" Brown of Cook and Brown is still an exuberant performer, Mabel Lee made the most remarkably sassy entrance and exit, and Tony Wang was congenial, courteous and a charming master of ceremonies. Don't miss the eighth festival. See www.atdf.org for upcoming events. Spanish Flamenco: as performed by Jorge Navarro, choreographer and founder of Pasión Flamenca and his eminent group of dancers and musicians tops all the shows of Spanish dance performing this fall. Navarro and Antonio Hidalgo's works are inventive and superbly performed. An unexpected performance by Madrid-born Rebecca Tomás in the New York Philharmonic's "La Vida Breva," stopped the show. She is riveting, beautiful, long, eloquent and pure flamenco. Baroque Dance: as in Catherine Turocy's New York Baroque Dance Company. Performances and classes, open to the public, occur at the Mark Morris Dance Center, 3, Lafayette Avenue. Anyone can learn baroque steps since these elegant past forms, our earliest steps leading to ballet, are fun and easy to do. The professional company performs in beautiful costumes of the period and employs wit, playfulness and coquetry all in the correct style of the time. Losses: Gerald Arpino, co-founder of Joffrey Ballet; in Chicago, d. 10/29/08. He, with Robert Joffrey created and developed the small barn-storming ballet company. In 1956, impresario Sol Hurok was consulted by the U.S. State Department to choose a company to be the first to represent American dance on a tour to Russia as the US/Soviet Cultural Exchange. The full story of the company's trip and trials, development and successes are recounted in Max Gershunoff's book, "It's Not All Song and Dance." The company continues in Chicago with the opening of a new education and training center, the Academy of Dance. Cancellation: "Stars of Tomorrow" that yearly featured world renowned artists. There will be more cancellations throughout the year. Disappointment: in the highly anticipated "Overgrown Path" by Kilián despite Carreño, Cornejo, and Xiomara Reyes and others in the ABT company cast. A bigger disappointment: in Christopher Wheeldon's "Morphoses" company and their depressing management of the Vail Dance Festival, in Colorado. Choreographer Benjamin Millepied brings his own company of ABT dancers as Danses Concertantes to the Joyce Theater, December 9-14. His "From Here on Out," a world premiere for ABT was the high point artistically of the Spring season. Coming up: Martha Graham Dance Company, May 12-16, The Skirball Center; Miami City Ballet, January 22-25 at City Center for the best, most accurate and well-danced Balanchine interpretations anywhere; DanceAfrica 09, May 22 at BAM; New York International Ballet Competition, June 24-28, theater t.b.a. 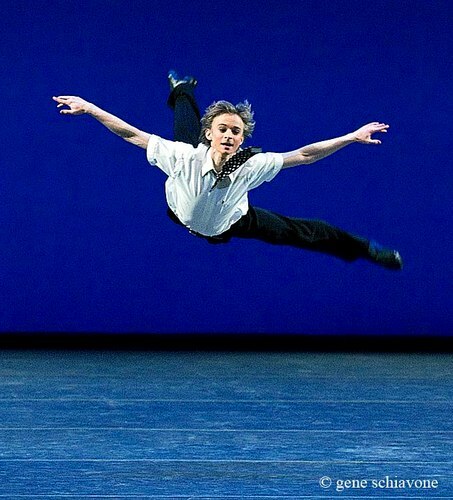 ; and Prix de Lausanne Switzerland international competition.